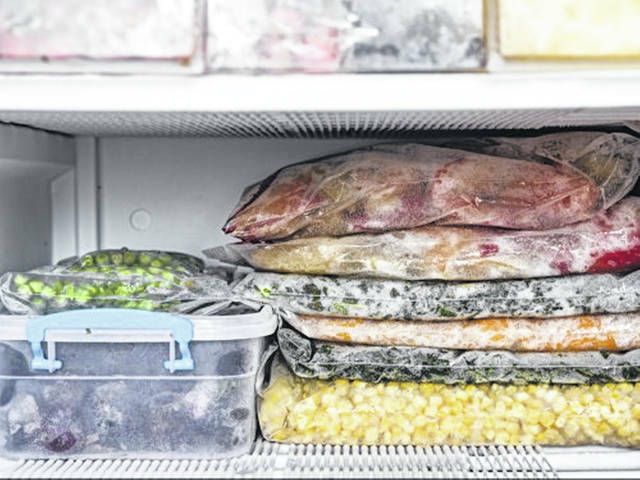 Freezer bags can be placed flat in the freezer so they are easier to thaw. Consider placing the freezer bags on a pan or baking sheet until frozen and then stacking them in the freezer, or stand the bags vertically once frozen. Question: When I get home from work some nights, I am exhausted and simply don’t feel like cooking. Any tips on what I can do to still eat healthy those nights without having to go out to eat or spend a lot of time making a meal? Answer: On a nonworkday, you could make several meals in advance and then store them in your freezer to defrost at a later date. On a day when you don’t have the time or energy to make a full meal, you’ll have access to quick, easy, nutritious, homemade meal options.